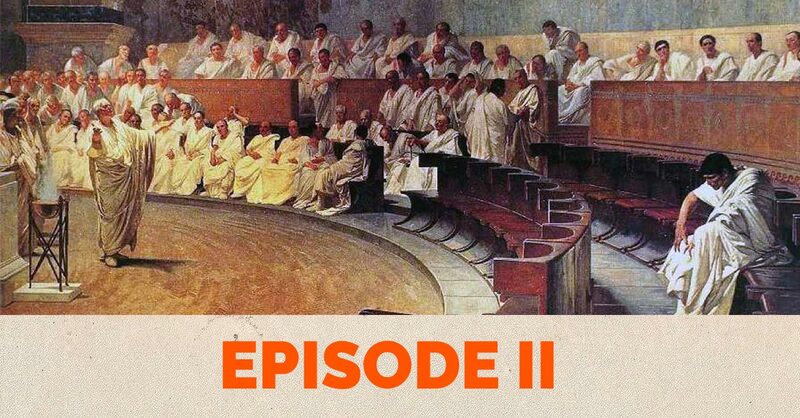 So the following episode is an attempt to bring to life a pivotal but often forgotten period i as we embark on the first stop of what I hope will be a long journey together through the history of free speech. Free speech in the ancient Athenian democracy (c. 500-322 BCE) came, as Jacob Mchangama so brilliantly and wittily makes clear, in two forms: isegoria (free political speech for adult male citizens, the privilege of having an equal public say) and parrhesia (unregulated public utterance outside formal political arenas). It was one of the cardinal and fundamental principles of ancient Greek demokratia (people-power), the other being freedom itself. But free speech, as he also makes clear, has its inevitable costs – and one of them was the death (partly self-willed, it has to be said) of Socrates, who was besides no ideological democrat. So important are the issues still today that ‘Free speech in Ancient Athens’ is worth an hour of any concerned citizen’s time. (the online versions linked to are not necessarily identical with the versions used or cited from in the podcast). Hansen, M.H. (1999): The Athenian Democracy in the Age of Demosthenes. Norman, OK: University of Oklahoma Press. Hansen, M.H. (2005): Det athenske demokrati – og vores. Copenhagen: Museum Tusculanums Forlag. Todd, S.C. (2005): “Law and Oratory at Athens” in: Gagarin, M. & Cohen, D. (eds. ): The Cambridge Companion to AncientGreek Law. Cambridge, UK. : Cambridge University Press. Blackwell, C. (ed.) (2003): Dēmos: Classical Athenian Democracy Democracy. Mahoney, A. & Scaife, R. (edd. ): The Stoa: A Consortium for Scholarly Publication in the Humanities. Accessible at http://www.stoa.org/projects/demos/home?greekEncoding=UnicodeC. Accessed 17/01/2018. Rowe, C., Schofield, M., Harrison, S. & Lane, M. (eds.) (2008): The Cambridge History of Greek and Roman Thought. Cambridge, UK. : Cambridge University Press. Kagan, D. (2007): Introduction to Ancient Greek History. Open Yale Courses. Accessible at https://oyc.yale.edu/classics/clcv-205. Accessed 17/01/2018. Herodotus: The History of Herodotus (Rawlinson, G., Trans.). Available at http://classics.mit.edu/Herodotus/history.html. Accessed 17/01/2018. Thucydides: The History of the Peloponnesian War (Crawley, R., Trans.). Available at http://classics.mit.edu/Thucydides/pelopwar.html. Accessed 17/01/2018. Demosthenes (1926): Against Leptines (Vince, C.A., Vince, M.A. & Vince, J.H., ). Cambridge, MA: Harvard University Press. Accessible at http://www.perseus.tufts.edu/hopper/text?doc=Perseus%3Atext%3A1999.01.0072%3Aspeech%3D20%3Asection%3D106. Accessed 17/01/2018. Demosthenes. Aristotle: Politics (Jowett, B., Trans.). Accessible at http://classics.mit.edu/Aristotle/politics.html. Accessed 17/01/2018. Aristotle: The Athenian Constitution (Kenyon, sir F.G., Trans.). Accessible at http://classics.mit.edu/Aristotle/athenian_const.2.2.html. Accessed 17/01/2018. Plutarch: Alcibiades (Dryden, J., Trans.). Accessible at http://classics.mit.edu/Plutarch/alcibiad.html. Accessed 17/01/2018. Cartledge, Paul (2016): Democracy: A life. Oxford, UK: Oxford University Press. Momigliano, A. (1974): ”Freedom of Speech in Antiquity” in: Wiener, P.P. (ed. ): Dictionary of the History of Ideas. Accessible at: http://xtf.lib.virginia.edu/xtf/view?docId=DicHist/uvaGenText/tei/DicHist2.xml;chunk.id=dv2-31;toc.depth=1;toc.id=dv2-31;brand=default. Accessed 17/01/2018. Saxonhouse, A. (2005): Free Speech and Democracy in Ancient Athens. Cambridge, UK: Cambridge University Press. Sova, D.B. (2004): Banned Plays: Censorship Histories of 125 Stage Dramas. NY: Infobase Publishing. Sluiter, I. & Rosen, R. (eds.) (2004): Free Speech in Classical Antiquity. Leiden, MA: Brill. Herodotus: The History of Herodotus (Rawlinson, G., Trans. ).available at http://classics.mit.edu/Herodotus/history.html. Accessed 17/01/2018. Xenophon (1923): Memorabilia (Merchant, E.C., Trans.) in: Xenophon in Seven Volumes, 4. Crambridge, MA: Harvard University Press. Available at http://www.perseus.tufts.edu/hopper/text?doc=Perseus%3Atext%3A1999.01.0208. Accessed 17/01/2018. Xenophon (1979): Apology in: Xenophon in Seven Volumes, 4. Cambridge, MA: Harvard University Press. Available at http://www.perseus.tufts.edu/hopper/text?doc=Perseus:text:1999.01.0212. Accessed 17/01/2018. Plato: Apology (Jowett, B., Trans.). Available at http://classics.mit.edu/Plato/apology.html. Accessed 17/01/2018. Plato: Gorgias (Jowett, B., Trans.). Accessible at http://classics.mit.edu/Plato/gorgias.html. Accessed 17/01/2018. Plato: Symposium (Jowett, B., Trans.). Accessible at http://classics.mit.edu/Plato/symposium.html. Accessed 17/01/2018. Nails, D. (2005): “Socrates” in: Zalta, E.N. (ed. ): The Stanford Encyclopedia of Philosophy. Summer 2017 ed. Accessible at https://plato.stanford.edu/archives/sum2017/entries/socrates/. Accessed 17/01/2018. Hansen, M.H. (1995): The Trial of Sokrates, From the Athenian Point of View. Copenhagen: The Royal Danish Academy of Sciences and Letters. Available at http://www.royalacademy.dk/Publications/High/719_Hansen,%20Mogens%20Herman.pdf. Accessed 17/01/2018. Stone, I.F. (1988): The Trial of Socrates. Boston, MA: Little Brown. Cartledge, P. (2009): Ancient Greek Political Thought in Practice. Cambridge, UK: Cambridge University Press. Rowe, C., Schofield, M., Harrison, S. & Lane, M. (eds.) (2008): The Cambridge History of Greek and Roman Thought. Cambridge, UK: Cambridge University Press. Robertson, J.M. (1915): A Short History of Freethought, Ancient and Modern. 3. Ed. London: Watts & Company. Ch. 5. Plutarch: Life of Demosthenes (Dryden, J., Trans.). Accessible at: http://classics.mit.edu/Plutarch/demosthe.html. Accessed 17/01/2018. Worthington, I. (2013): Demosthenes of Athens and the Fall of Classical Greece. Oxford Scholarship Online.